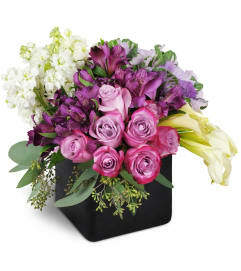 Send them to the tropics with emerald green dendrobium orchids and lush tropical leaves! 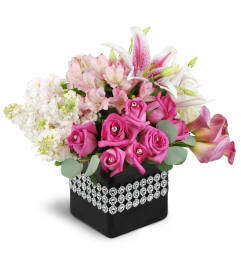 This exotic, sophisticated display is perfect for any occasion, and will delight even the most chic recipient. 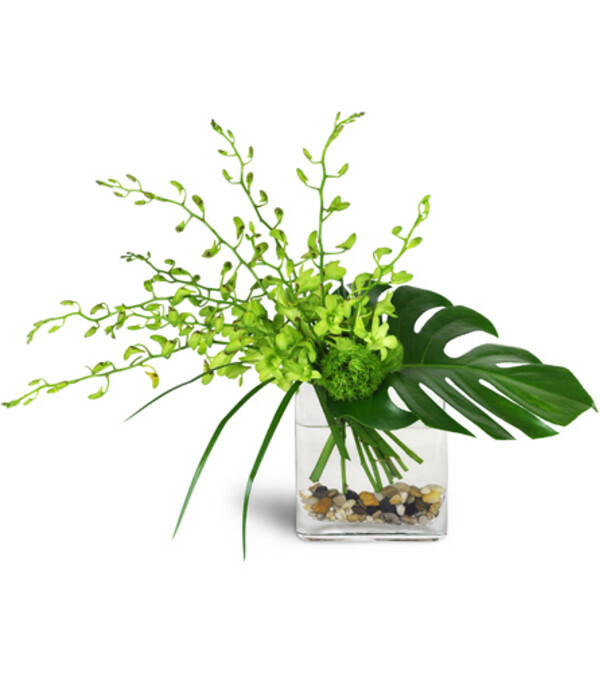 Full stems of green dendrobium orchids are artfully arranged with tropical leaves and river rocks for a modern, exotic display.